Blog & Journal > Relationships > What Do the Different Colours of Roses Convey? Roses are the best flowers to express feelings and emotions. The flower is ideal for those who are in love and want to express this to their partner. In fact, roses are synonymous to love. As a gift it holds numerous messages, which the receiver understands through its colors. 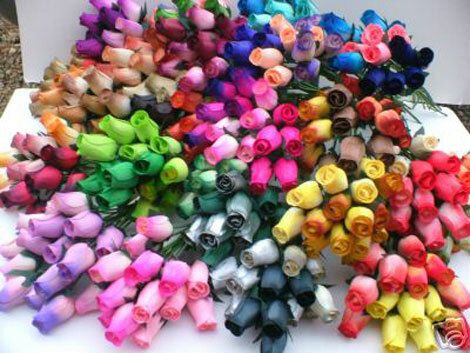 Over the years the meaning of each color of roses has evolved to feed every sentiment. If you don’t know which rose color signifies what; read on to enlighten your minds. Red – Although a cliché, red roses find its place in every bouquet. It completes an occasion and decoration of a place. Red roses signify true love. It has appeared as a symbol of religion and happiness. Red roses are particularly an excellent choice for your first date, to propose someone, for Valentine’s Day, and wedding decoration. Yellow – This color depicts friendship, joy, and wellness. Yellow roses are generally associated with the sun, and mostly used for cheering people up. Generally, when people are unwell or hospitalized, visitors prefer sending a bouquet of yellow flowers. Yellow represents brightness. It conveys a message of love, without the romantic subtext of other colors. It is also associated with friendship. Yellow roses are especially used to delight a hospitalized person or to start a new relationship (friendship). Pink – This color is the sign of love, gratitude, and appreciation. This color is mostly preferred by females. Pink is symbolic of innocence, elegance, gentleness, and grace. It signifies sweetness and poetic romance. Pink roses can be used to express sympathy or to impress a girl. Pink roses are usually included in the flower bouquet to enhance its beauty and add a unique and a soft touch to it. White – White is symbolic of purity, innocence, spirituality and peace. Also famous as the bridal roses, the white rose is a traditional favorite of western weddings. You can also link white roses with honor and love. White rose speckles elegance. A creatively designed white flower bouquet can add a golden touch to the collection. Lavender – One of the most beautiful colours, a lavender bouquet expresses enhancement, magic and love and first sight feeling. Whenever a sender wants to convey how he was attracted towards the recipients, lavender flower is the best way to convey this message. This colour was also associated with royalty, traditionally. Lavender flowers are particularly useful for impressing bosses or decorating a royal dinner table. Most people also prefer orange colour roses that are symbolic of passion and enthusiasm. You can send flowers by post to your loved ones through a reputed flower delivery company in your town.